Shelby American’s Super Snake Wide Body Concept is designed to broaden the Snake’s performance curve with more grip on all four corners to deliver a competitive edge on the road course. Unlike previous generation Wide Body Super Snakes, which were designed primarily for drag racing, this concept car has more grip on all four corners to deliver a competitive edge on road courses. The wide body concept was designed and hand built at Shelby American’s facility in Las Vegas. 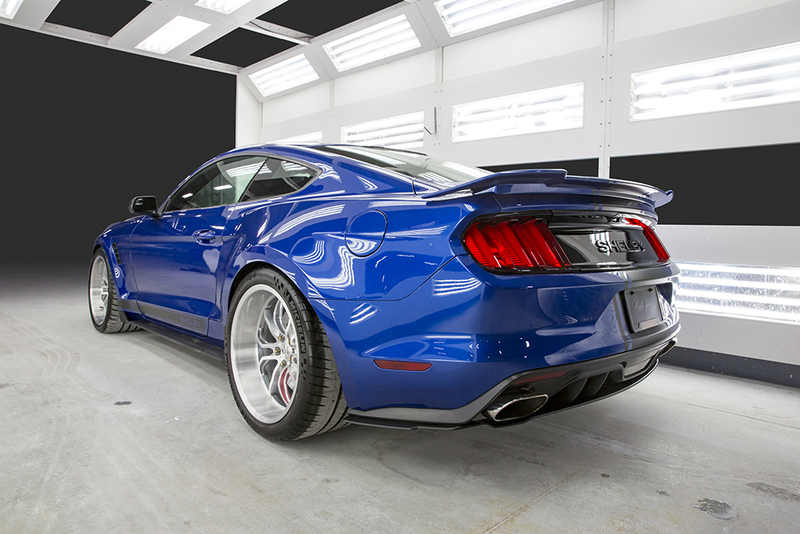 New body panels were integrated into the “Lightning Blue”50th Anniversary Shelby Super Snake to add approximately 4 inches to the rear track and 2.5 inches to the front. 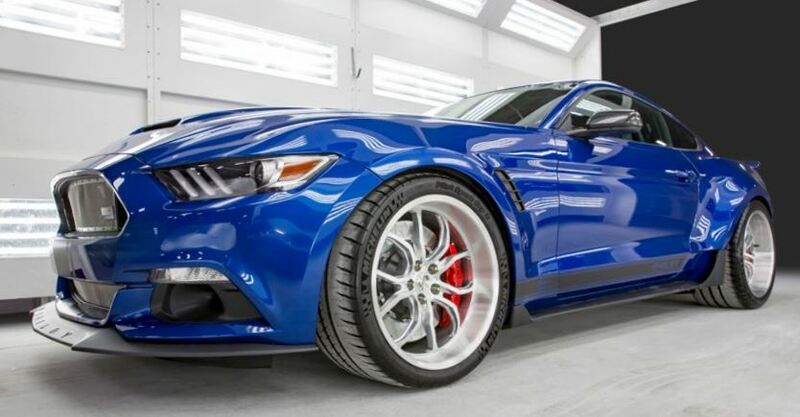 Shelby American added a fully adjustable coil over suspension system, bigger brakes, hardened wheel studs, stronger spindles and hubs, as well as a more aggressive wheel and tire package to put all 750 horsepower to the road. 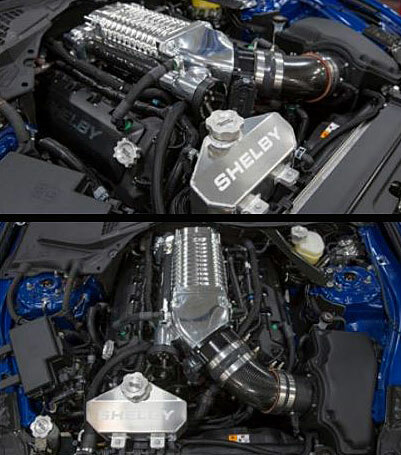 Shelby American’s roots began on the track and the Wide Body Super Snake is a road racer ’s dream. 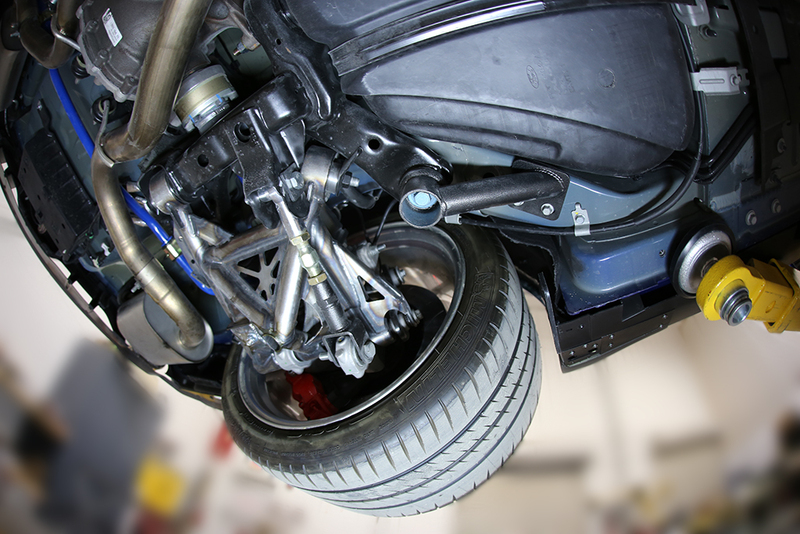 The package significantly changes the car ’s driving dynamics, giving the Super Snake more traction for later braking and earlier acceleration out of corners. It will deliver more communication to the driver and better absorb track imperfections, giving the Shelby razor sharp handling on most any surface. The wide body Shelby Super Snake concept vehicle, the first from Shelby American in a decade, is a glimpse at the next generation track focused car. The concept car was unveiled to the public at the 5th Annual Carroll Shelby Tribute and Car Show on May 20, 2017. 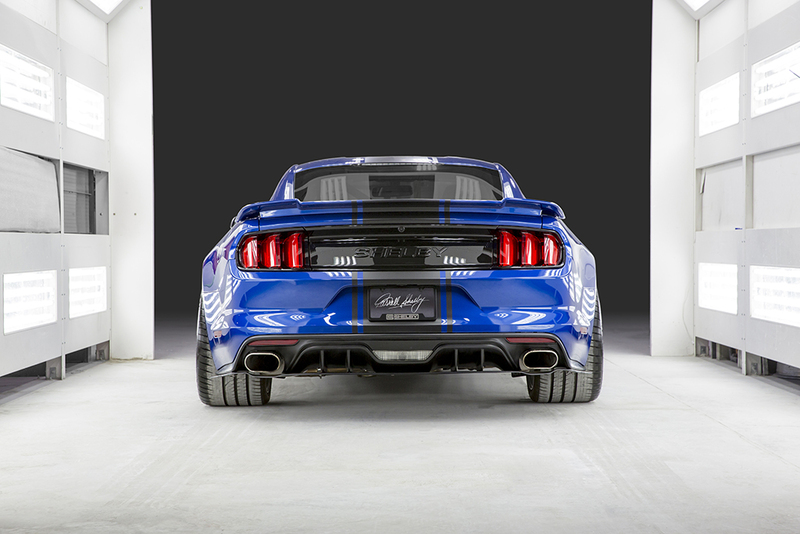 If thewide body concept goes into production, it will be available worldwide with the package registered as part of a vehicle in the official Shelby Registry. For additional information, visit www.shelby.com. 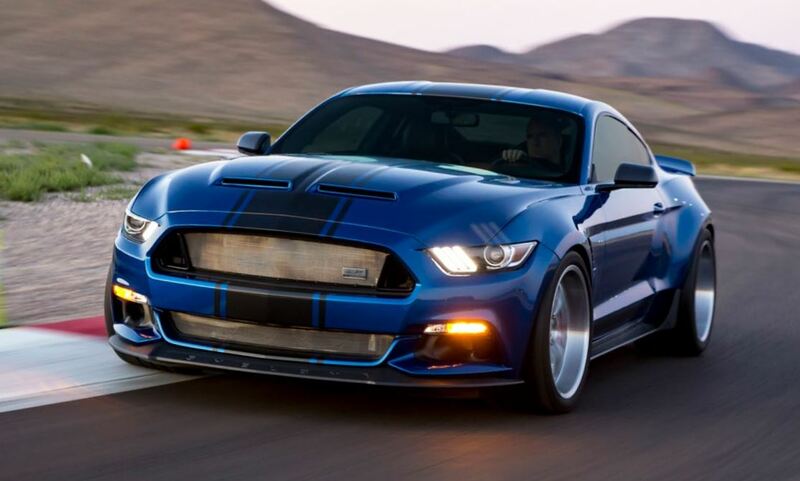 The wide body concept is based on a 50th Anniversary Shelby Super Snake with its 750hp supercharged Coyote 5.0L V8. Shelby American upgrades the suspension with adjustable coil-over suspension components, bigger brakes and hardened wheel studs at all four corners. It also adds stronger spindles and hubs and a further upgraded wheel and tire package incorporating 12.5x20 rear and 11x 20 front wheels rolling with Michelin performance tires The wide body concept adds approximately four inches to the car’s rear track and two and half to the front, allowing room for the more aggressive road race underpinnings. 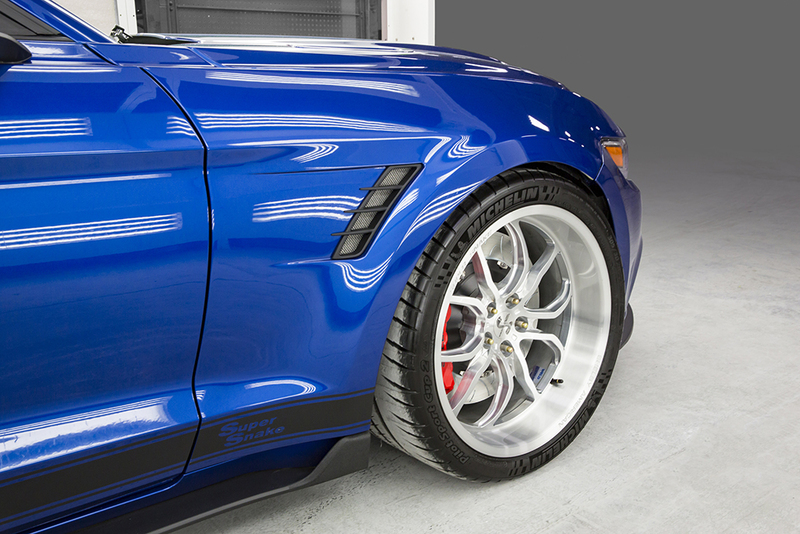 Fully adjustable coil-over suspension and massive 16/14 inch (F/R) Brembo brakes teamed with specific wider wheels and tires make the snake a whole different animal on a road course.